Are You Worthy Of Your Purpose? During the course of my childhood and teenage years, I watched enviously as my older sister took piano lessons. Being the not-so-well-behaved child at school, whenever I asked for lessons, all I got was (cue angry Nigerian accent): “DON’T BOTHER ASKING ME AGAIN FOR MONEY TOWARDS THOSE STUPID MUSIC LESSONS. LOOK AT YOUR BEHAVIOUR. THIS HOUSE PHONE CANNOT GO ONE WEEK WITHOUT RECEIVING A CALL FROM YOUR SCHOOL….” As you can imagine, the lecture goes on. Annoyed at my sister’s lack of passion for music, I decided to take matters into my own hands. Half-way through my first year in 6th form, I dug out my sisters’ old keyboard and began to teach myself. The last few years, I’ve mostly been playing piano recreationally with friends and, every now and then, in churches with choirs. But late last year when I started University and found a Church, I obtained a deep desire. This desire was to use my abilities to lead people into the very thing we were created to do – worship. My first reaction to this was “You are not worthy”. These were my words. I wish I could say that the enemy said these things to me but I would be lying. The words were mine and mine alone.For the next month I said to myself, “If you even want to think about joining the worship team, you need to fix up. You need to be less sinful and you need to practise every day!” And that is exactly what I tried to do. As you would guess, I failed. Only then did I finally ask what God had to say about all this. “If you want to hear God speak, read your Bible out loud” – John Piper. I was right in acknowledging that my skills alone were insufficient, but trying to correct them with endless hours of rehearsing was ultimately the wrong way to go about it. If I had all the right skills then I wouldn’t need Him in my life. 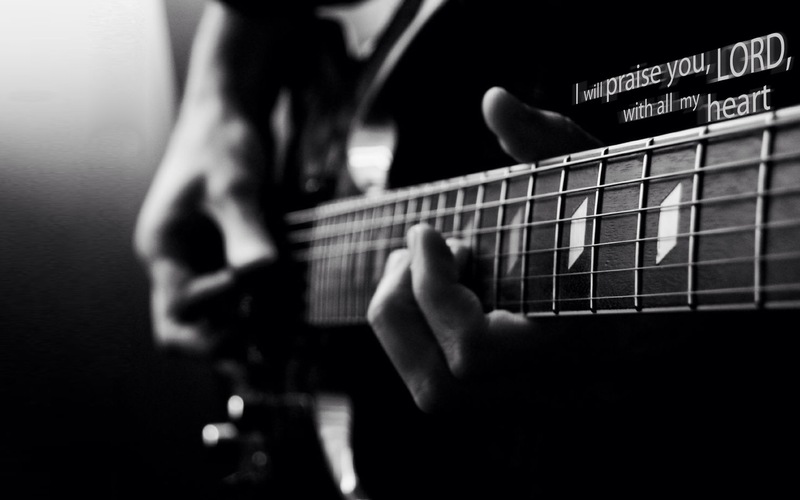 I could lead worship and take all the credit – but I don’t. The desire to join the worship team was placed in my heart, not because I’m sufficient, but because I’m insufficient. Reason being – “So that no human being might boast in the presence of God”. If I was sufficient, I would have the right to boast and glorify myself; because I am not, I can only glorify the one who is, God himself.